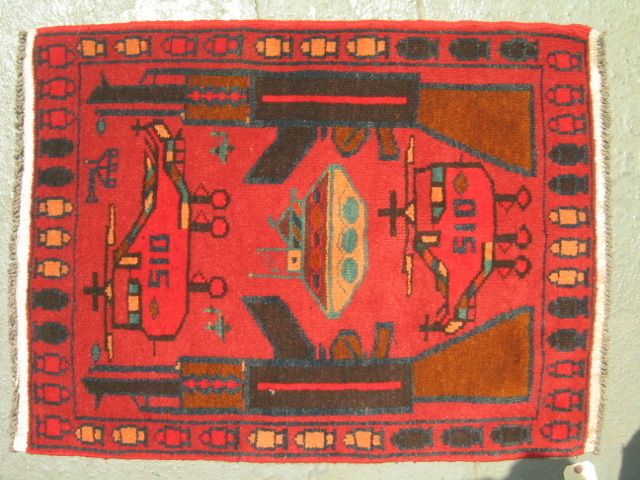 Warrug.com’s selection of small red rugs illustrates sub groups of red rugs well. ‘Camoflage Helicopter’ named for harlequin-esque rendering on helicopters. These were readil available in 1999 and 2000. 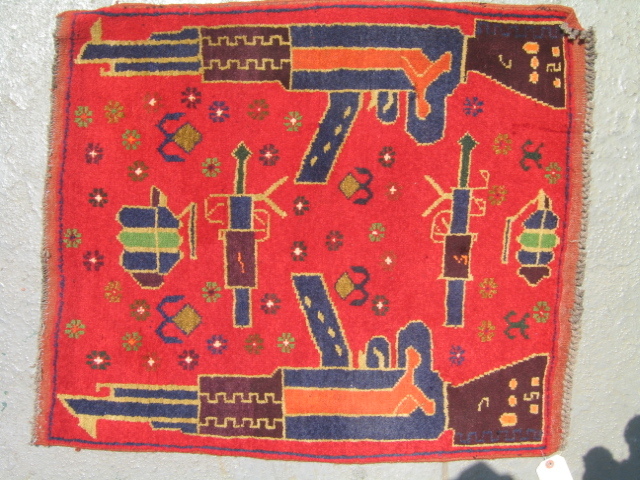 They are like “Classic” red rugs, but not quite as finely knotted. 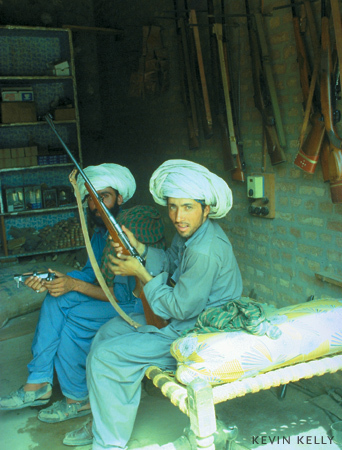 This entry was posted in The Weapons, The Weavers on April 13, 2007 by Kevin. 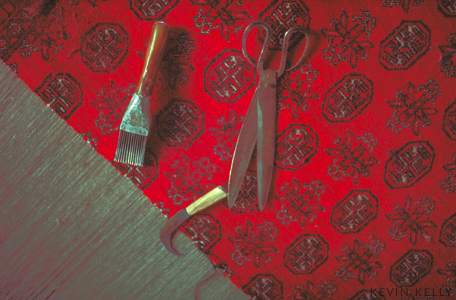 The tools for carpet weaving are simple and few. There’s the loom, in a horizontal position. 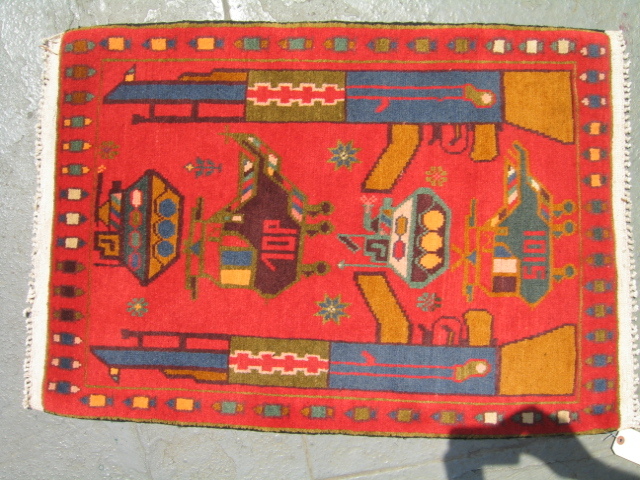 The weaver squats on the finished carpet as she weaves. She ties new knots of dyed yarn along the edge. 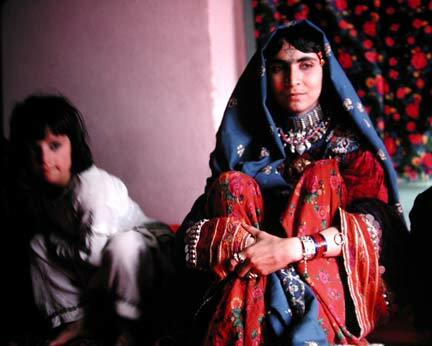 She trims the tied knot with the curved knife. Then she tightens the finished row of knots with the long-handled comb. 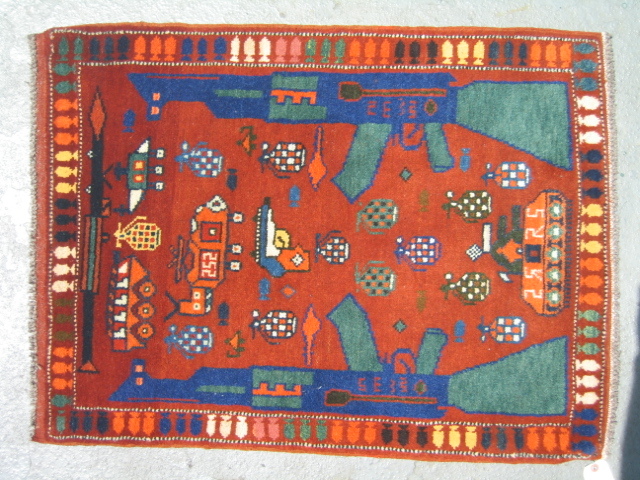 Then, she further trims the area she just finished with the scissors, maintaining an even pile on the whole carpet. 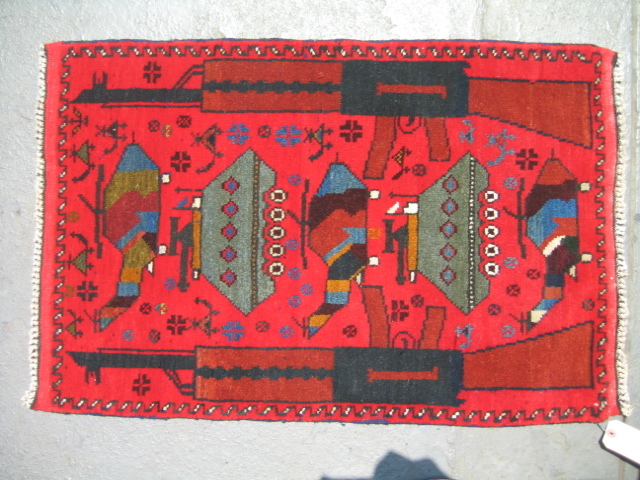 This entry was posted in Rug Images, The Weavers on September 20, 2005 by Kevin. 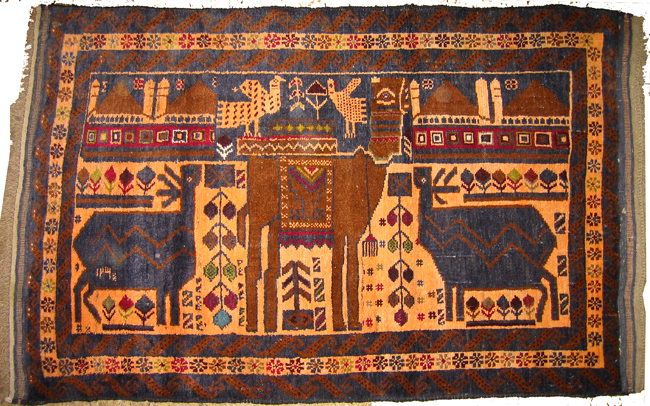 Lion Brand’s Design team had prepared gift bags of basic yarns in subdued colors, thinking that these would be in keeping with their guests’ cultural tastes but were surprised to find that the Afghan women were excited by the novelty ribbon and fur yarns in bright colors and especially the whimsical garments and stuffed animals for children that they saw on display. 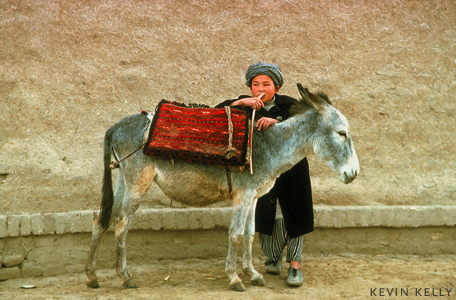 This entry was posted in Afghan Women, The Weavers on June 8, 2005 by Kevin. I stumbled across this piece by the author James Opie. 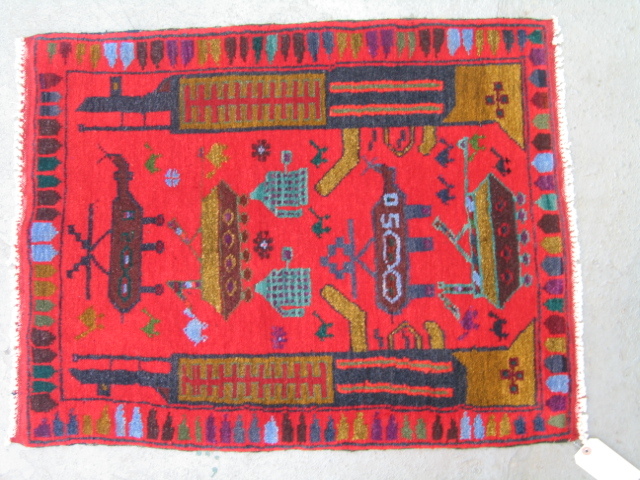 Two basic streams of carpet designs can be identified in Afghanistan in the past several centuries. 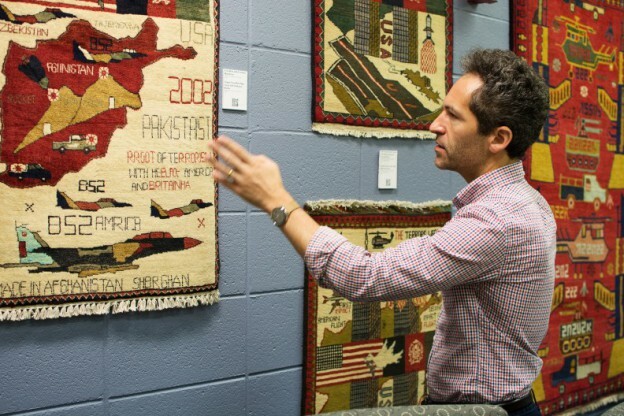 One is an urban design tradition of finely and precisely organized patterns, produced by professional carpet designers on the equivalent of graph paper. 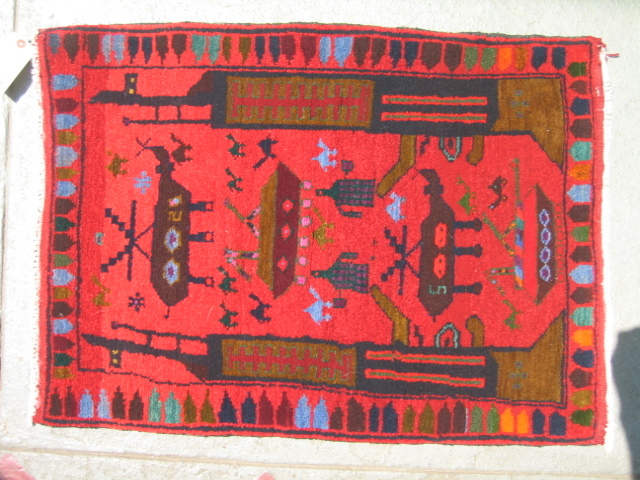 Given that weavings of this sort were produced in urban areas, this can be thought of as a â€œcityâ€ design tradition. 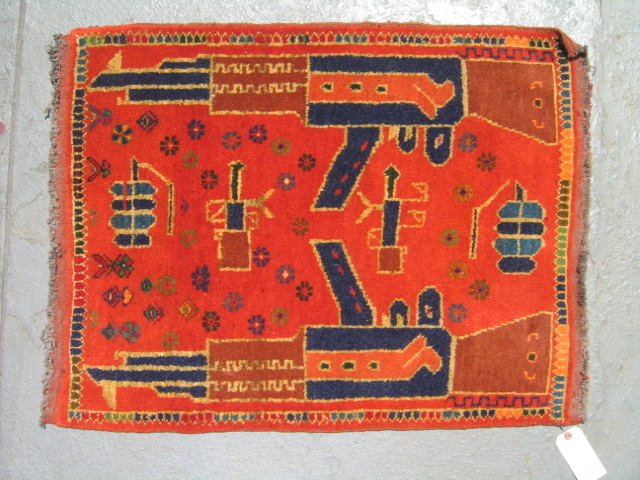 Designs in such rugs are more formal, echoing Persian design influences. 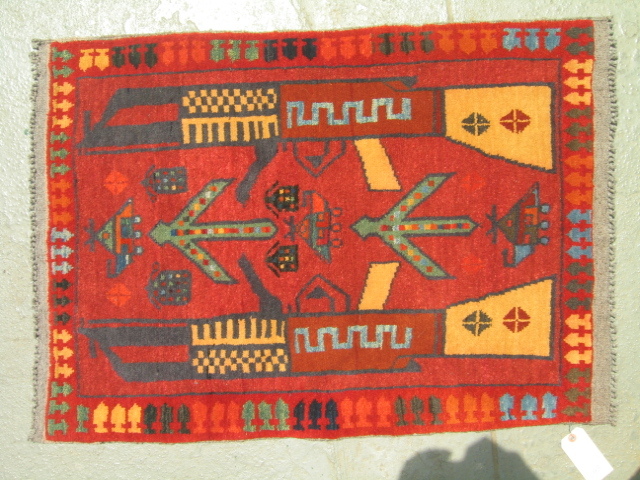 Tribal designs represent a second and largely independent stream. 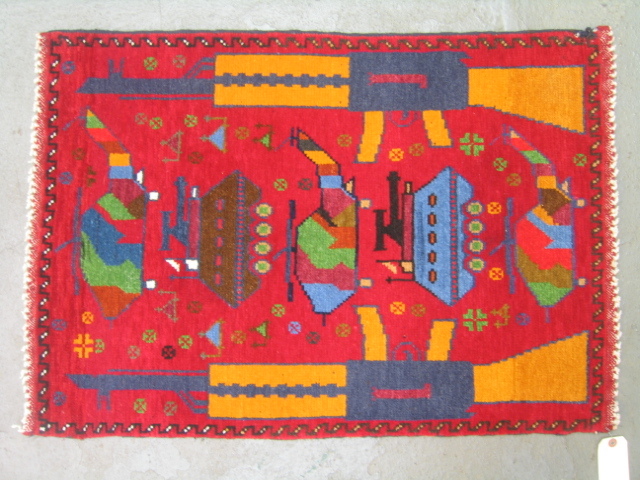 Motives and patterns differ from tribe to tribe, depending very much on the traditions of the various groups and, to a lesser extent, on the inventiveness of the individual weavers. 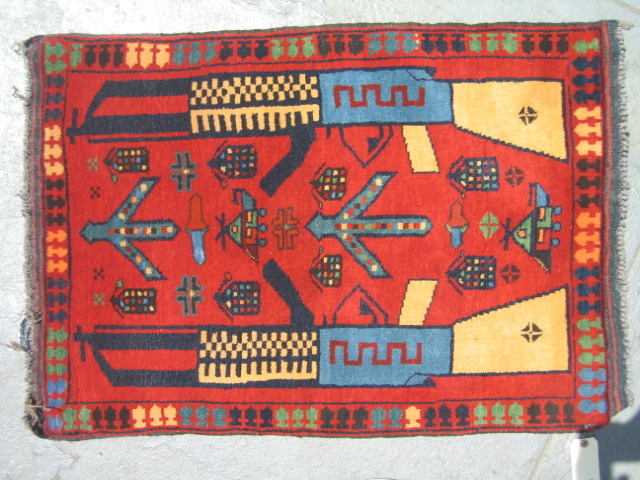 This second design stream of â€œtribalâ€ rugs is the dominant one in Afghan weaving. 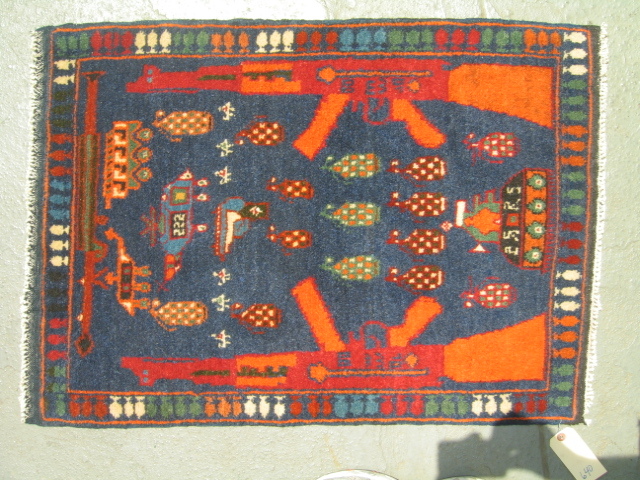 An amalgam of the two streams can be found in certain workshop rugs that produced larger rugs with traditional tribal designs. This entry was posted in The Weavers on April 28, 2005 by Kevin.